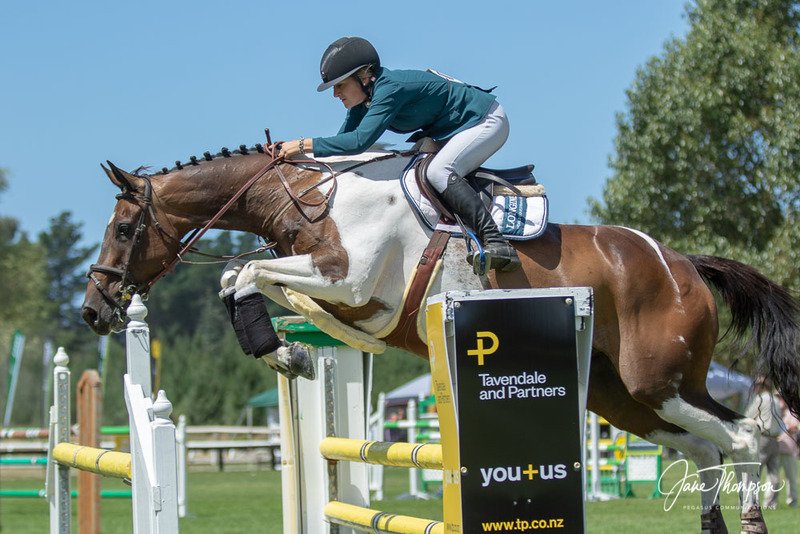 The win of the day went to Wellington’s Sophie Scott when she took out the FMG Young Rider class at the Tavendale & Partners NZ National Show Jumping Championship in Christchurch. Sophie and Steffi Whittaker (On the Point Eve) were the only two clear in the first round, but the jump-off didn’t go according to Steffi’s plan, and she ended up on the ground instead of jumping the wall. Sophie just had to jump clear to win, and she did that with style on Lakota. Sophie is also still competing in the pony ring, but has stepped up well to the horse arena with her super coloured gelding. The pair are into their second season together. Sophie is a frequent visitor to the South Island and will be staying down for the Canterbury Show Jumping Championships next weekend. She will then home and then on to the Horse of the Year show in mid March, where she will target the Young Rider class and the Norwood Gold Cup. Rose is another with plans to head to the Horse of the Year show. After the Canterbury Championships, Rose is taking her team of horses to the North Island for a few shows and Eye Catcher NZPH will be on the truck too. 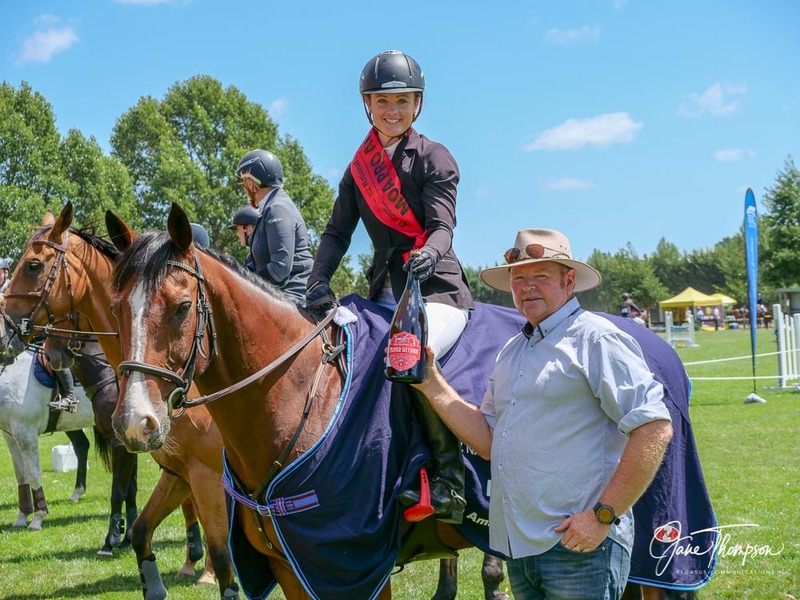 The Mitavite Speedi-Beet Six-Year-Old class was won by Peita Milne on Global PH Mylorde. The pair haven’t done many of these age classes, and Peita wasn’t expecting to win at the Nationals so she was super happy with the results. Peita has only been riding the big mare since November, so the pair look like they will have a bright future. “After the Canterbury Champs, we are off to Takapoto and then on to Horse of the Year, where we hope to jump in the six-year-old class there” said Peita. 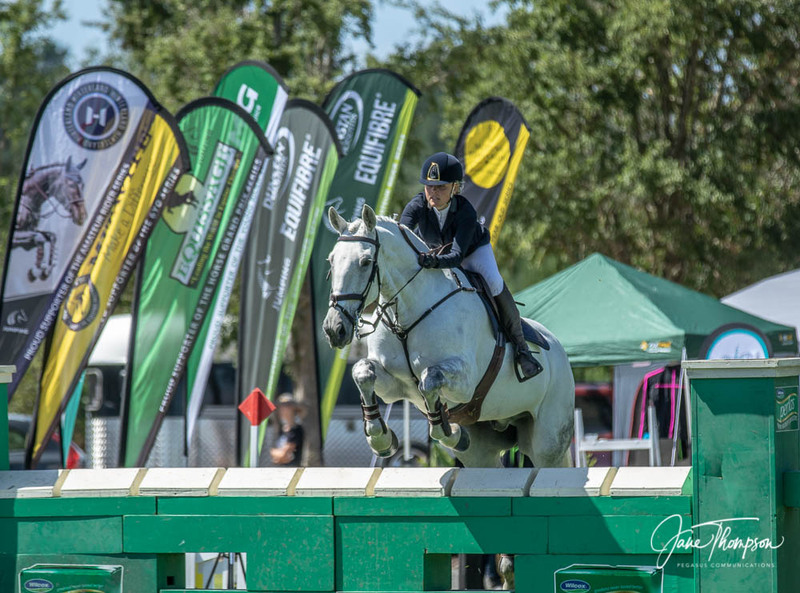 The Dunstan Horsefeeds and Equifibre Pro-Am class is always a hotly contested one, and this class was no different. Seven went through to the jump off but it was Queenstown’s Icey Storm, ridden by Lauren Buckley who took out the honours, posting a time of 34.88 and a clear round. The others all had four faults until the last horse into the arena, Eireann Bandoola, ridden by Gail Richardson, also produced a clear round but with a time of 37.19 putting them in second place. Tomorrow Lauren will be at the show to spectate and “do her helper jobs” so there may be a little celebration tonight, and the sponsor donated a magnum of their Moa product to help out! The show continues tomorrow with the final rounds of the National titles. The ground conditions are very good, producing some fine jumping. There was a good crowd enjoying the lovely sunny day today and it is hoped even more will be out watching tomorrow.